This week marks five years since the passing of our pet dog Shadow. He was an important part of our family and it was so hard when we learned he had cancer. It was fast growing and the day we sent him over the Rainbow Bridge was probably the hardest thing I’ve ever done. As part of my grieving process I put together a little book. I want to honor his memory this week. Shadow was our first dog. One of the reasons I looked into puppy raising after he died was because I wanted to have a dog but wasn’t ready to face the end of life process again. So in some ways it is Shadow’s fault that we are puppy raisers. I wear a silver bracelet everyday in memory of this wonderful dog. Thanks Shadow for all you taught us and all the memories! For more information on this little book, “Shadow’s Laws” I have several posts on how I put it together here. 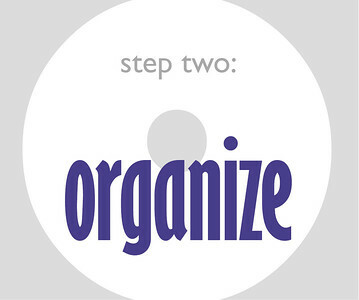 What have you done to help you move through the grieving process? With Memorial Day coming up in a few weeks is there someone who you want to pay tribute to? Challenge: Text over busy backgrounds like photos can be difficult to read. Of course when possible put the text on the least busy part of the photo. The next thing to do when placing text over photos is to experiment with light and dark colored text to see which one shows up best. Notice in Law #9 that the text on the left side is in white and the text and the right side is in black. 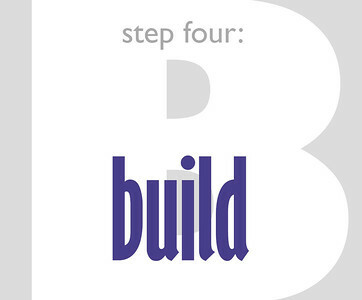 Adding a small drop shadow to white text can sometimes make a big difference in readability. The last tactic I’ve use here is to alter the photo. In Law #10 I darkened the photo under the text to help it stand out better while on Law #6 I made the photo lighter. Sometime the rubber stamp tool in Photoshop can help even out a busy background. This is what I did for Law #4. Sometimes you have to be creative to find what works best. 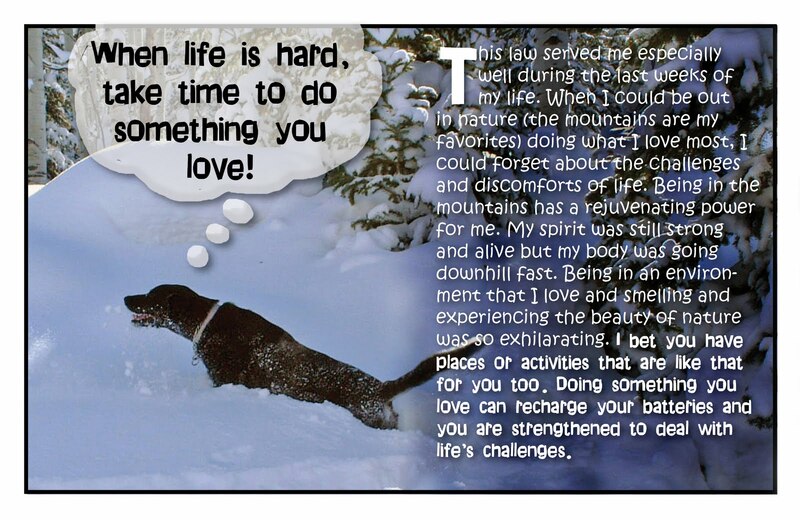 Shadow’s Law #10: When life is hard, take time to do something you love! This law served me especially well during the last weeks of my life. When I could be out in nature (the mountains are my favorites) doing what I love most, I could forget about the challenges and discomforts of life. Being in the mountains has a rejuvenating power for me. My spirit was still strong and alive but my body was going downhill fast. Being in an environment that I love and smelling and experiencing the beauty of nature was so exhilarating. I bet you have places or activities that are like that for you too. Doing something you love can recharge your batteries and you are strengthened to deal with life’s challenges. Now we have come to the end of this project. It has been fun sharing it with you and I hope that it has been helpful. Small project like this are so much easier to tackle than big “life history” type projects but they can be just as meaningful and much more approachable. Also I think that small books are easy for anyone to pick-up and read. One of my goals with the “Beyond Words Project” is to help you to share what is important to you with more people. It is much easier to do that when the project is appealing and pulls the reader into the book. A 700 page book in black and white is a great way to gather and preserve information but there is a very limited number of people who are willing to wade through a book like that. 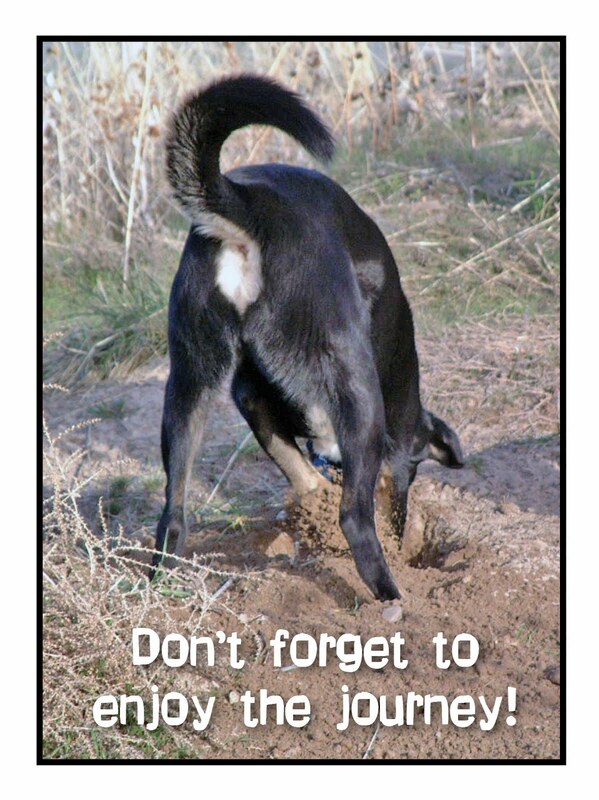 As Shadow would say, don’t forget to enjoy the journey! Concept – Using Drop Caps: Because the text on each page is in a different location I decided to use drop caps to make draw your eye to the beginning of the paragraph. 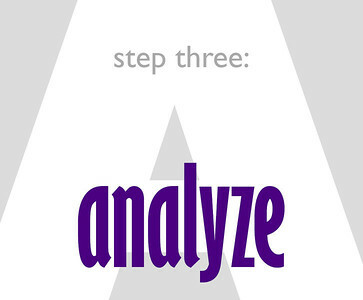 I use Adobe InDesign for all my layouts and adding drop caps is very simple. When you have the text tool in the paragraph you want to add a drop cap to you can then use the paragraph pallet to control how the drop cap is applied. One icon (with an uppercase A and several rows of little lines to the right) controls how many lines down the drop cap goes. In Shadow’s Laws I used three lines. To the right of this icon is another similar icon with both “Aa” and the rows of little lines. This is where you tell is if you want it to apply to more than one letter at the beginning of a paragraph. I know very little about Word but the link below takes you through how to apply drop caps in that program. I’m sure a Google search would give you instructions for any other program you might be using. Also notice that I changed the font of the drop cap from, Kristen ITC to Dream of Me, to match the font I used in the thought bubbles for the laws. 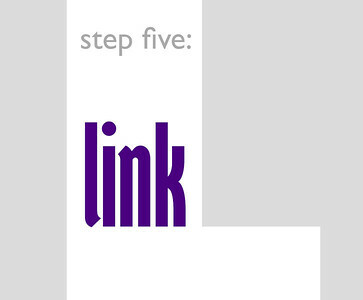 This brings even more emphasis to the beginning of the paragraph and helps to visually connect the text on the page. I also use this same font at the end of each paragraph for the concluding statement of each law. Shadow’s Law #8: If you have to choose between food and fun, choose fun! Playing is my favorite thing to do. I remember one day just as I had decided I was hungry and wanted to eat, Bill asked me if I wanted to run an errand with him. I was torn between going with Bill and eating. I was so hungry. So I grabbed a quick bit of food and headed off to have some fun. 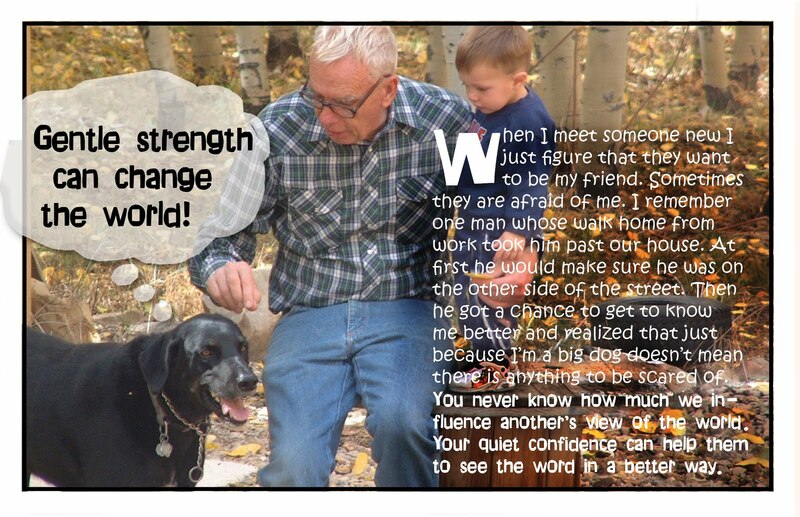 Shadow’s Law #9: Gentle strength can change the world! When I meet someone new I just figure that they want to be my friend. Sometimes they are afraid of me. I remember one man whose walk home from work took him past our house. At first he would make sure he was on the other side of the street. Then he got a chance to get to know me better and realized that just because I’m a big dog doesn’t mean there is anything to be scared of. You never know how much we influence another’s view of the world. Your quiet confidence can help them to see the word in a better way. Concept: In this book all of the text is put on top of the photos. 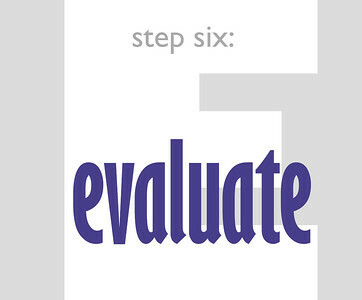 This can create a challenge sometimes as to where to put the text. It would be unusual if you could put the text in the same place on every photo because the focal point of each photo could be in a different place. So the first thing is to determine what you don’t want to cover up with text. Faces are usually the focal point in most photos with people or animals. Next you have to decided where to put the thought bubbles. I wanted to be able to put them somewhere that they wouldn’t cover up anything important but I also needed to be able to connect the bubble to somewhere near Shadow’s head with the little trail of bubbles. As you can see in Laws #4 & #6 that above his head didn’t always work. You have to be flexible in working with the photo to figure out what works. 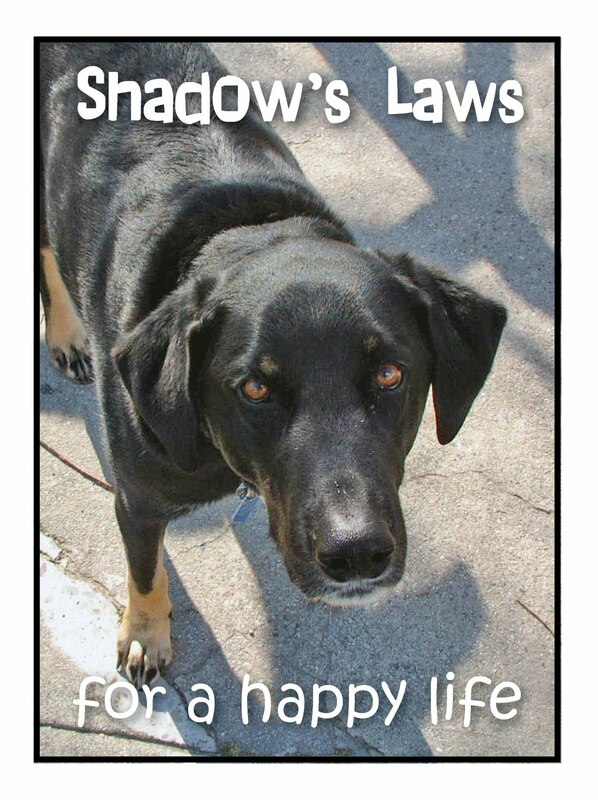 Then there was the text to tell about how Shadow applied this law in his life. Law #3 was easy because there wasn’t too much text and it all fit very nicely over the cream colored shirt in rectangular text box. In Law #6 I had to shape the text around Buddy’s head by creating a shape and having the text wrap around it so it wouldn’t cover up his face. Law #7 was easier because I could either do it the same way as I did Law #6 or I could manually shorten the first few lines of text on the right side until I got past Shadow’s head. 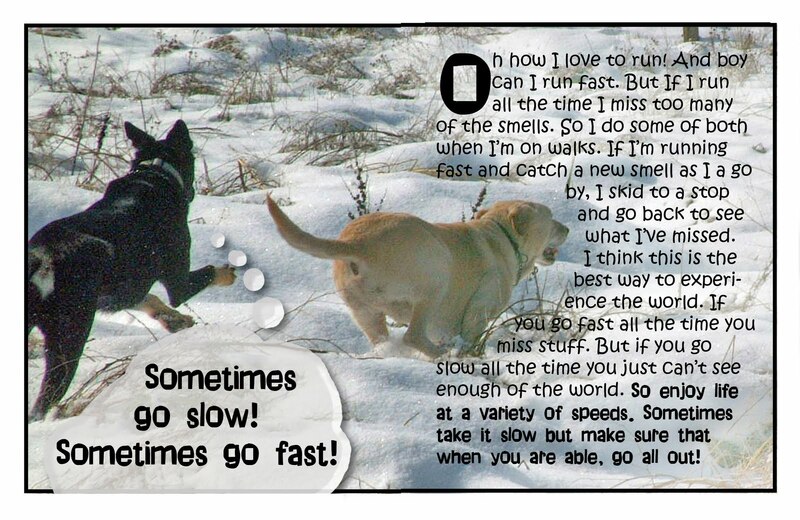 Shadow’s Law #6: Sometimes go slow! Sometimes go fast! Oh how I love to run! And boy can I run fast. But If I run all the time I miss too many of the smells. So I do some of both when I’m on walks. If I’m running fast and catch a new smell as I a go by, I skid to a stop and go back to see what I’ve missed. I think this is the best way to experience the world. If you go fast all the time you miss stuff. But if you go slow all the time you just can’t see enough of the world. So enjoy life at a variety of speeds. Sometimes take it slow but make sure that when you are able, go all out! 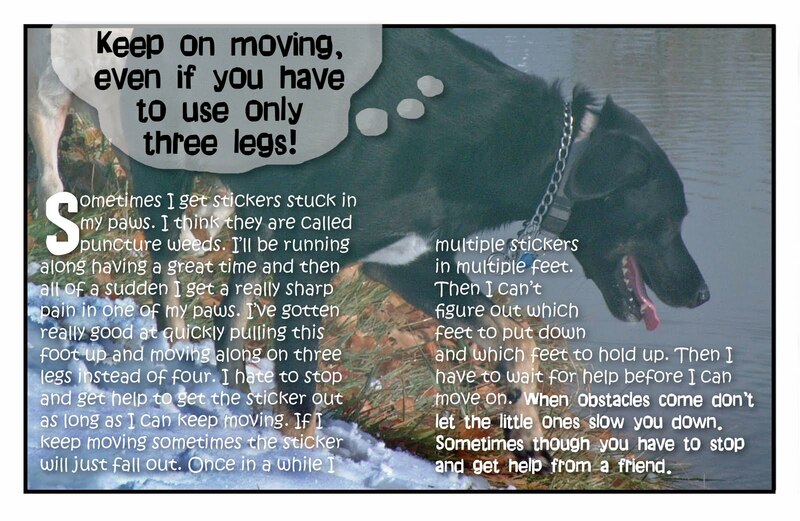 Shadow’s Law #7: Keep on moving, even if you have to use only three legs! Sometimes I get stickers stuck in my paws. I think they are called puncture weeds. I’ll be running along having a great time and then all of a sudden I get a really sharp pain in one of my paws. I’ve gotten really good at quickly pulling this foot up and moving along on three legs instead of four. I hate to stop and get help to get the sticker out as long as I can keep moving. If I keep moving sometimes the sticker will just fall out. Once in a while I get multiple stickers in multiple feet. Then I can’t figure out which feet to put down and which feet to hold up. Then I have to wait for help before I can move on. When obstacles come don’t let the little ones slow you down. Sometimes though you have to stop and get help from a friend. Concept: With the laws written and the idea of using thought bubbles decided it was time to find photos to illustrate each of the 10 laws. This can be challenging depending on how many photos you have. 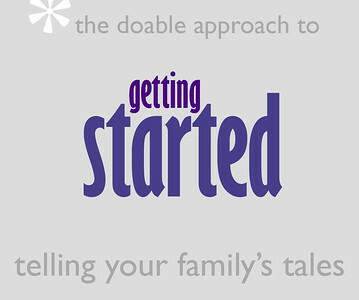 Too few or too many can make the selection process difficult. I usually start by finding my favorite photos and seeing where they fit best. With this simple design I just needed one photo per law. Then I picked a law and looked for photos that would work and selected between them. For those laws there wasn’t a great match I picked one that I thought was compatible with the law even if it did illustrate it in a strong way. It can also be helpful to pick a back-up option in case the chosen photo doesn’t work out for some reason when putting all the elements together. Shadow’s Law #5: Find something interesting in each and everyplace, old or new! This world is such an amazing place. I love to discover something new around every corner. Even in the little block were I live I can find interesting things each night as we walk around before going to bed. And new places, wow there is so much that I can’t see it all fast enough. There is so much of interest is life I am always ready for the next adventure, where ever it may be. By looking for the good things in life we will find more of what is good! Concept: One of the next decisions I made was how to highlight the 10 Laws. I decided to use “thought” bubbles to set them apart and to emphasis the idea that Shadow was the author of these laws. I created a simple bubble in Photoshop and then rotated and stretched to fit each page. I also adjusted the transparency so that the background photo shows through a little. Finally I added a drop shadow to give some depth and add impression that the thought bubbles are floating in the air. Shadow’s Law #2: Let them know that you missed them! Because I love being with people I notice when I’m not with them and I’ve learned that people like to know how you feel about them. I’m so excited when I see my family or friends. I remember a time when we lived in Boston, I looked forward to our afternoon excursions at the dog play area. All the dogs would come and play. 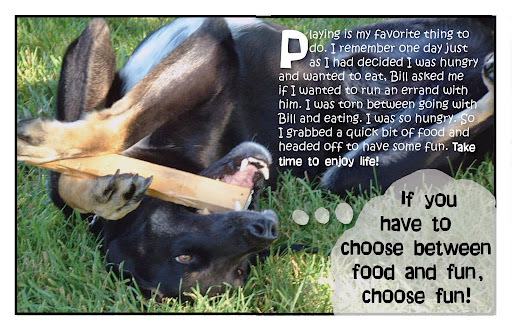 Bill surprised us one day by coming home early while we were playing. I was so happy to see him that I couldn’t help but let him know. I thought every dog was like that but some of the other owners were I little jealous that their pouches had never been that happy to see them. 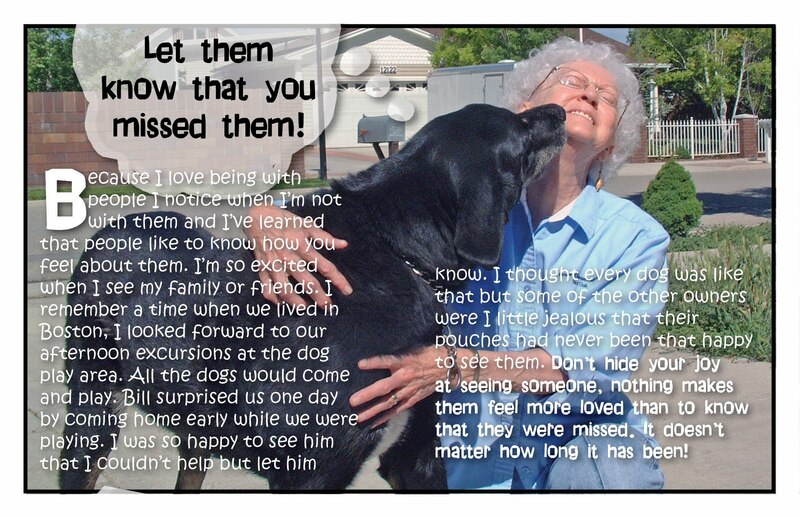 Don’t hide your joy at seeing someone, nothing makes them feel more loved than to know that they were missed. It doesn’t matter how long it has been! 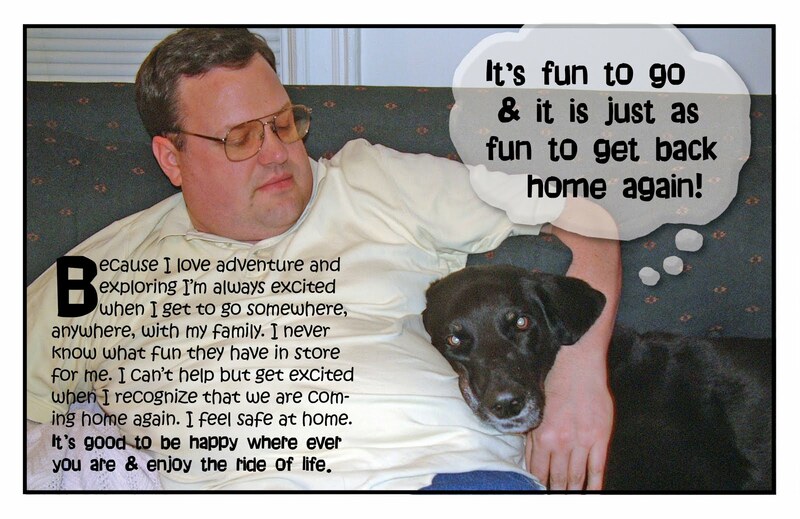 Shadow’s Law #3: It’s fun to go & it is just as fun to get back home again! Because I love adventure and exploring I’m always excited when I get to go somewhere, anywhere, with my family. I never know what fun they have in store for me. I can’t help but get excited when I recognize that we are coming home again. I feel safe at home. It’s good to be happy where ever you are & enjoy the ride of life. 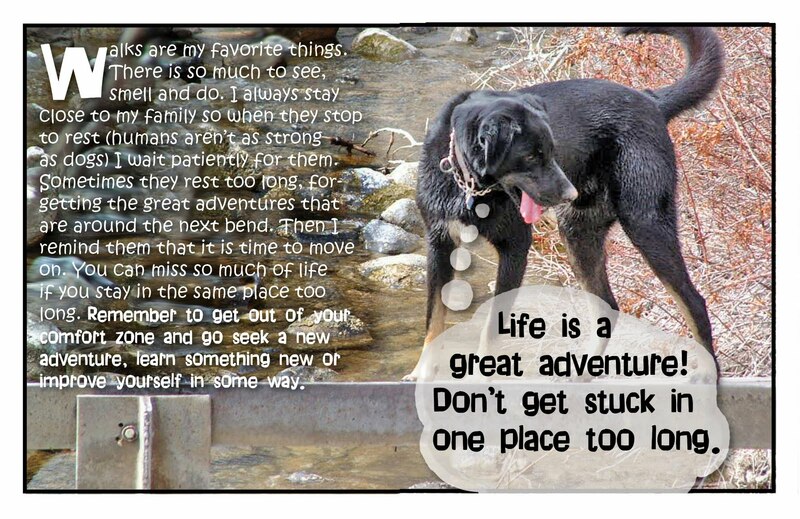 Shadow’s Law #4: Life is a great adventure! Don’t get stuck in one place too long. Walks are my favorite things. There is so much to see, smell and do. I always stay close to my family so when they stop to rest (humans aren’t as strong as dogs) I wait patiently for them. Sometimes they rest too long, forgetting the great adventures that are around the next bend. Then I remind them that it is time to move on. You can miss so much of life if you stay in the same place too long. Remember to get out of your comfort zone and go seek a new adventure, learn something new or improve yourself in some way. Today marks three years since our beloved mutt of 12 years died. I put together this little book (5.5″ x 4.25″) shortly after his death as a tribute to his life and as therapy for me in the grieving process. I printed it myself and put a simple spiral binding on it to share with family and friends. This project’s simple concepts can be applied to other projects to share thoughts, feelings and ideas. 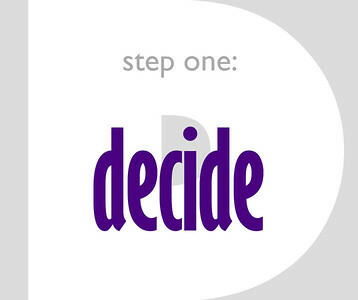 Purpose: When starting a new project one of the first steps is to decide what it is you want to accomplish. In this project I wanted to capture the essence of how Shadow embarrassed life. Theme: I decided to call them “Shadow’s Laws.” The next thing I did was to think about what he enjoyed in life and how to distill that down to 10 laws.about the way Shadow lived his life. This took awhile but it was a great way for me to remember him and what a good life he had. Concept: I decided to write this book as from Shadow’s perspective. I thought that seeing the world through his eyes would be an effective way to share what I thought were the most important rules that he had for how to live a happy life. Using the first person perspective in writing can give something a more personal, intimate feel. 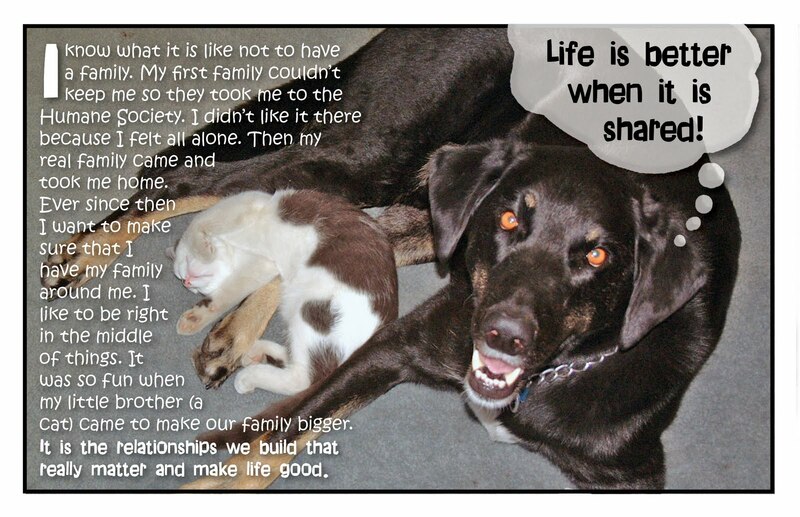 Shadow’s Law #1: Life is better when it is shared! I know what it is like not to have a family. My first family couldn’t keep me so they took me to the Humane Society. I didn’t like it there because I felt all alone. Then my real family came and took me home. Ever since then I want to make sure that I have my family around me. I like to be right in the middle of things. It was so fun when my little brother (a cat) came to make our family bigger. It is the relationships we build that really matter and make life good.